Hypnobabies is a childbirth education class for calm, confident mamas and those aspiring to be. Calm Confident Mama is pleased to offer Hypnobabies Childbirth Hypnosis classes! This highly sought-after class features the newest version of our Hypnobabies program- full of up to date, modern, evidence based research. This is a complete childbirth education course that was adapted with permission from Master Hypnotherapist Gerald Kein’s “Painless Childbirth Program” techniques rather than using simple relaxation, breathing or guided imagery. This allows our Hypno-Moms to enjoy “eyes-open childbirth hypnosis”, easily remaining deeply in hypnosis while walking, talking and changing positions; being as mobile as they would like to be during childbirth. 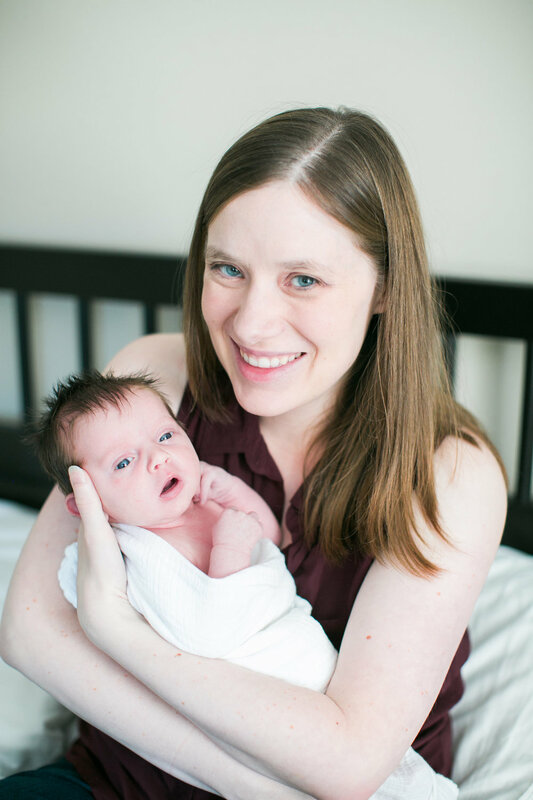 Hypnobabies is well-known for helping women to create much shorter, easier and more comfortable labors, making childbirth the joyful experience it was meant to be. I'm a Hypno-mom, a rainbow mom, and a Hypnobabies Childbirth Educator. I'm passionate about all things birth and babies! Are you planning an easier, more comfortable birth? Are you looking to make evidence-based decisions for your family? Hypnobabies childbirth classes can prepare you have the birth you want.